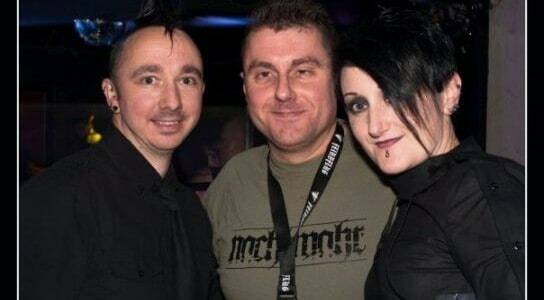 Recently we had the chance to have a quick chat with one half of the Bunker 13 crew based at club Raw in Whitby. We spoke with DJ Amanda Lee about the night, how it started and its future. We also spoke a little bit about the state of the Northern Goth and dark music scene in the UK. S] Can you give us a little bit of back-story to the Bunker 13 night and how it came to be? A] Both myself and DJ Cheeky used to DJ at a night in York called Body Electric. When the night came to an end we both saw an opportunity to start our own night at the venue where Body Electric was held – that’s how Bunker 13 started. Our initial venue was great but we had to move to another one more in the centre of York. We stayed there for six months but then the venue didn’t want the night to be held there anymore and since then, we have struggled to find a suitable venue. S] What’s been the most difficult part of your history as an event, and how did you overcome it? A] Venues. When we first started, our opening night at our first venue was a success and we held another even the following month. Our second Bunker coincided with a big gig and our numbers suffered. The venue cancelled the rest of our bookings and we had to find somewhere else. We ended up at The Basement Bar in York next. The venue was perfect but we could only have it until midnight and it was right in the centre of York’s townie pubs so not the most pleasant of places for our crowd to get to. We ended up there for another six months though but then they called it a day. Since then, finding a venue suitable for us has been impossible. Our opportunity came when Carol, the original Alternative Whitby organiser, firstly asked us both to DJ at Laughton’s in Whitby and then handed over the running of one of her nights to us and that’s how we ended up at Raw in Whitby. S] There are a few events cropping up all over the North now, what are the ingredients to the perfect dark/alternative club night – in recipe format if you can? A] One suitably bunker like venue, add two DJs, simmer gently then bring to the boil. Once boiling, open the doors and add as many people as you can. Keep adding alcohol as required, to prevent dancing from drying up. DJs need to keep boiling consistent by hammering the dance floor with hard hitting music. Continue boiling for four-to-five hours. After four-to-five hours, reduce heat. Allow people to cool. Send people on their way. Repeat on a monthly basis or as regularly as possible. S] What do you think of the state of the Northern Goth and Industrial scene right now? A] I think it’s fading a little. It’s frustrating because when you organise a night, you put so much effort into it and you really want it to do well, not only for yourself but for the sake of the scene and for people who like that sort of music to have somewhere to go. I know not everyone can make it all of the time but it’s really important that people support their scene and their local (and maybe not so local) nights otherwise there won’t be any left. S] How will the Bunker 13 concept develop in the future? A] At the moment, I’m not sure. I think we need to see how we get on at Raw and get the word out that we are there. We had a really successful first night in October and I just want to be able to build on that. We will also be part of a night on the Friday at Laughton’s from April, a night called Distort so look out for the flyers for that. S] Bunker is only on for two nights every year (to coincide with the Goth Weekend) currently at Raw in Whitby , so can you tell us where we can find you guys in the meantime? A] Well, we get to do some guest sets at different nights. Cheeky DJed down in Birmingham the Friday night after Whitby and I was DJ’ing at Darklands in York on November 14. We have a Bunker 13 group page on Facebook so details of any guest slots we will be doing should be on there. It’s hard because we can’t hold the night more regularly (partly due to the fact that me and Cheeky live a fair distance away from each other aside from the venue problem we have), and we get asked all the time about when the night is going to start up again in York, but only having it twice a year at Whitby maybe makes it worth the wait? I don’t know! S] Top five songs for your ultimate DJ set? S] Anything that you would like to say to those that have followed you and your night since the beginning? A] We have had some great support over the years we’ve been doing Bunker 13 and I would like to say a massive thank you to those who have stuck by us and supported us. There have been a group of people who have been with us since the start of Bunker 13 and our days at Body Electric and they still support us now and it’s great. I’ve also made some really good friends through Bunker. When you know that the people who come to your night really love the music you play, it makes it worthwhile and makes you want to carry on. I get a real buzz from seeing a dancefloor filled with people who enjoy the music as much as me! For more information visit the official Bunker 13 Facebook group. *Thanks to Dark-Light Photography for the images.